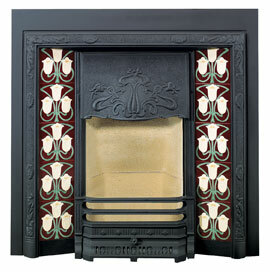 With its clean, contemporary lines, the Lotus H370 is an impressive built-in wood burning fire. Incorporating an elegant black steel front and a large glass door, you will experience a wonderful view of the radiant, dancing flames from this highly efficient wood burning fire – creating a sense of cosiness and warmth! Also, displayed discreetly between the glass door and steel front is the neat and stylish control lever, which completes the stylish design of the H370 wood burning fire. The H370 wood burning fire has also been approved for the burning of wood in Smoke Control Areas.